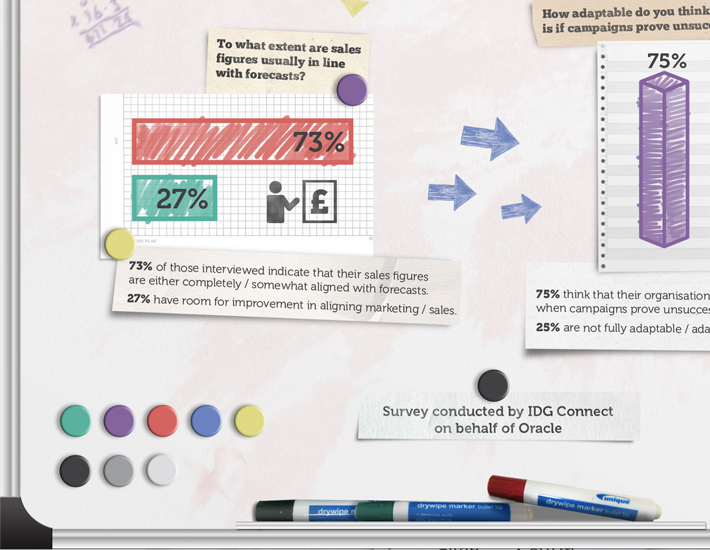 I was asked to produce an infographic that visualised the findings of IDG’s 2012 Sales & Marketing survey in association with Oracle. 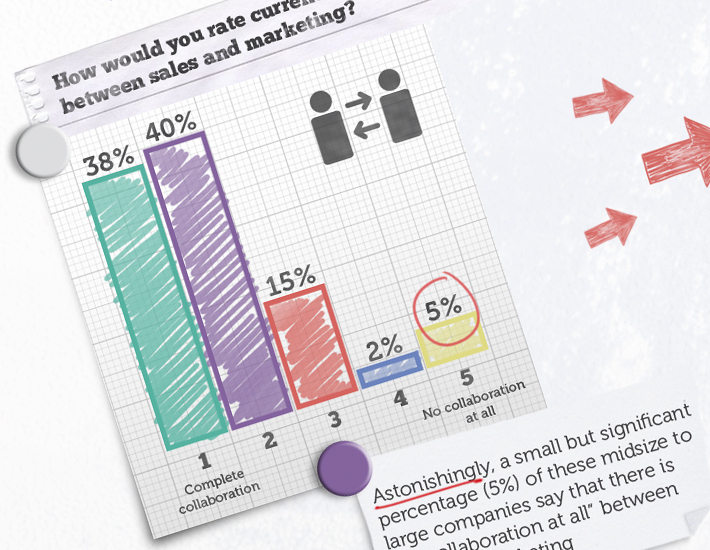 As soon as I read the survey results I was compelled to create a visual style that replicated a white board within a busy sales or marketing environment. 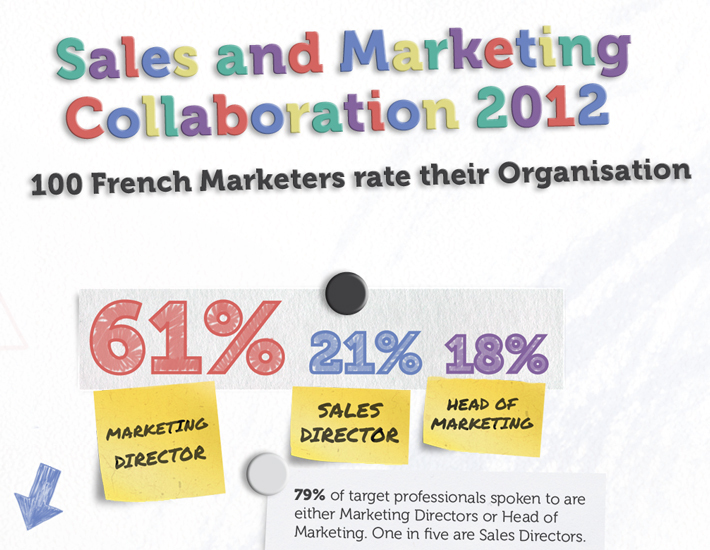 My first idea was to use totally hand drawn graphs but I soon realised that I could add a lot more depth by adding magnets, post-its and pieces of paper.